You can fit 3 Ferrero Rocher inside the box. 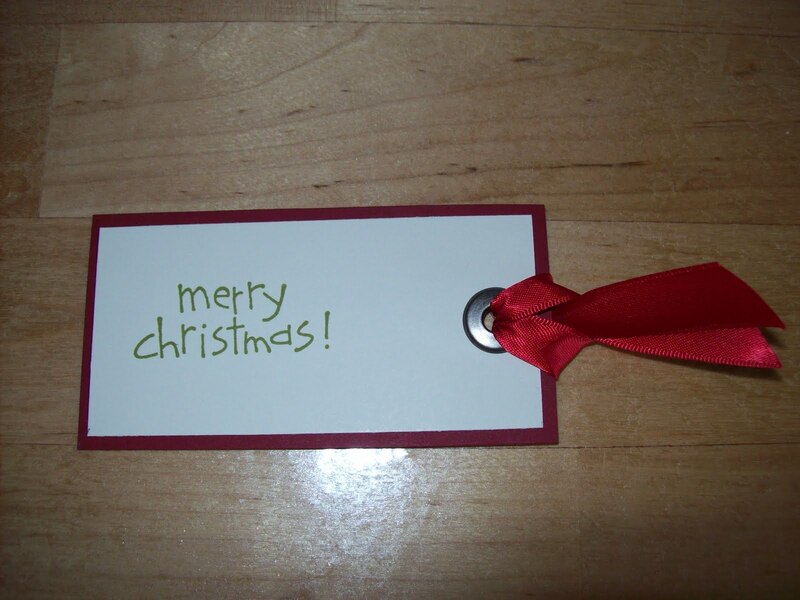 One side of the card says Merry Christmas and the otherside is blank for you to write on. I made ten of these for my daughters teachers at the end of year. 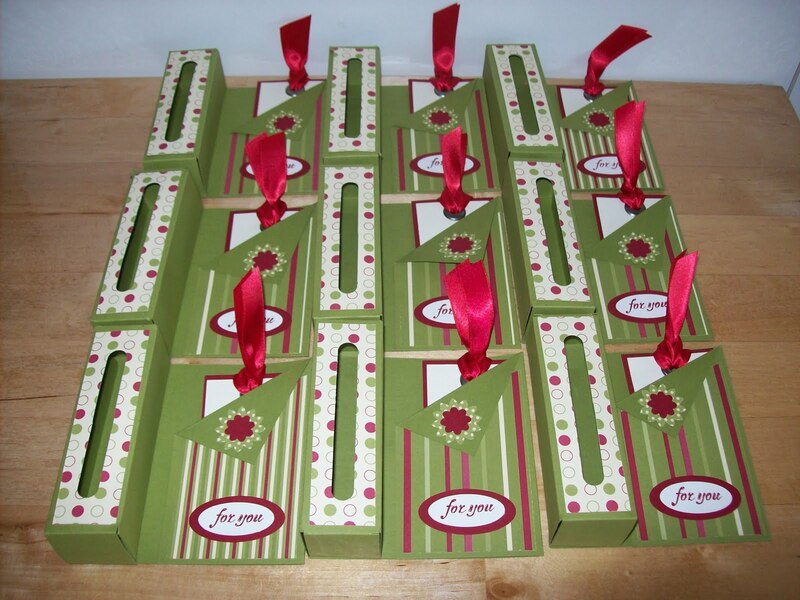 Accessories: Designer Series Paper - Holly Jolly, Real Red Satin Ribbon, Oval Punches, Word Window Punch, Boho Blossoms Punch and Adhesives. 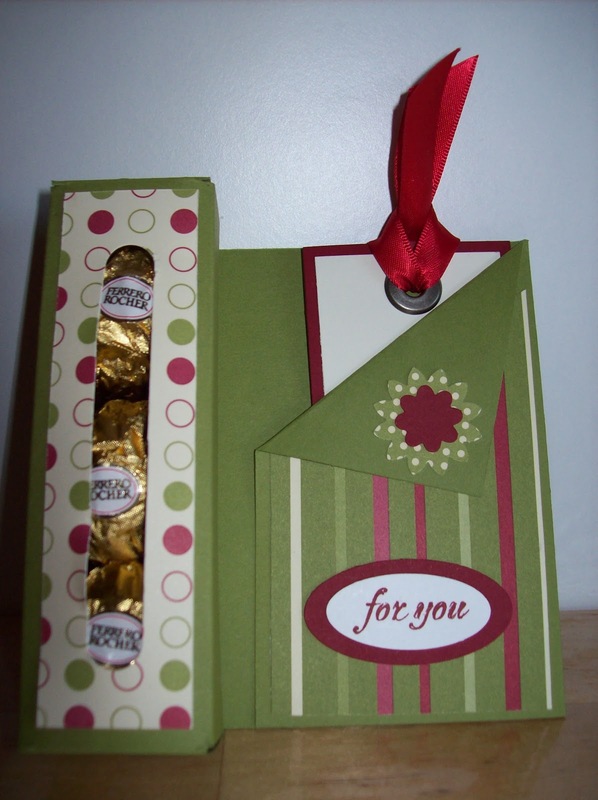 If you would like the instructions to make these Treat Box Cards go to: http://www.splitcoaststampers.com/resources/tutorials/treatboxcard/. Hope you have fun making them, I did.